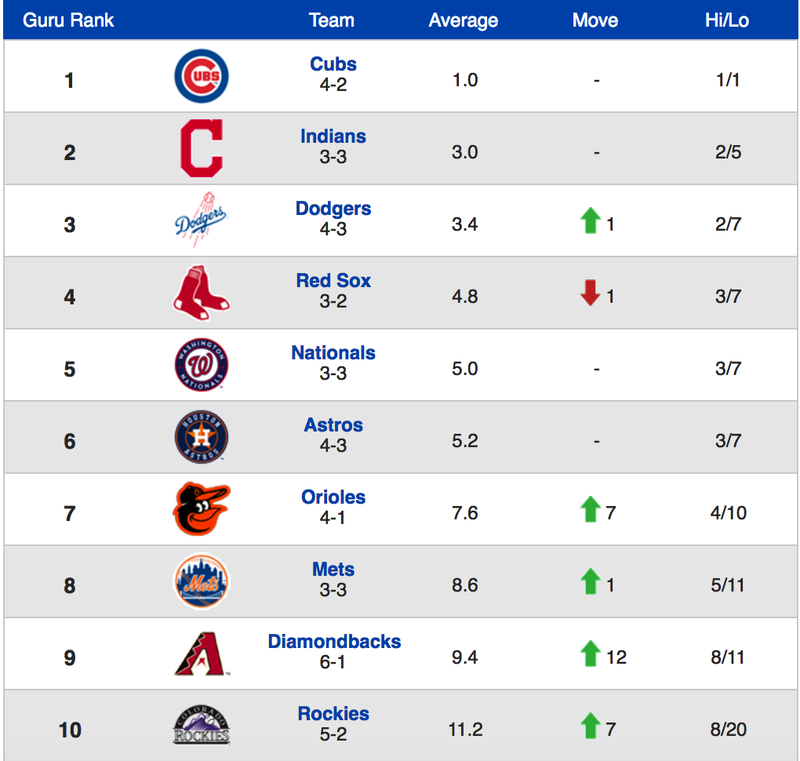 According to the PowerRankingsGuru website (which aggregates various power rankings around the Web), the Red Sox have dropped into the fourth spot overall—falling one slot from last week. 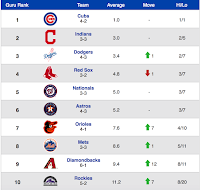 As the chart shows, the Cubs (also ranked #1 last week), Indians and Dodgers are now ahead of Boston—with the Nationals and Astros not far behind The Carmine Hose. 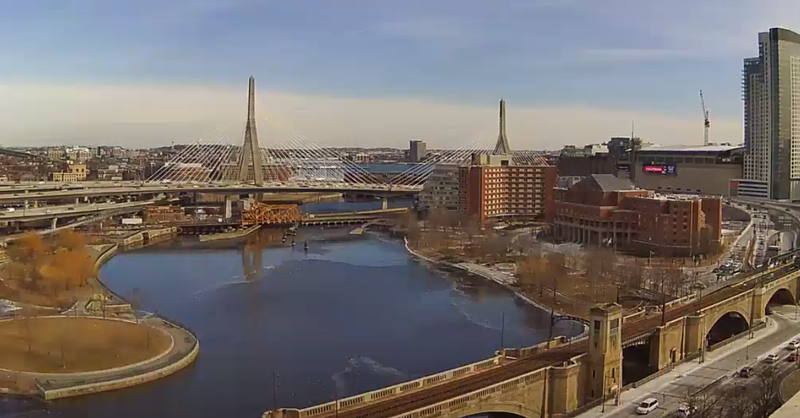 Boston's average position rating was 4.8—with its highest ranking at 3 and its lowest at 7. For perspective, The Bronx Embalmers are firmly ensconced in the #22 position (out of 30). 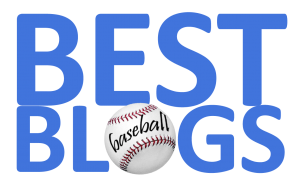 You can view all the MLB Rankings on the "guru" site HERE.